There’s nothing in the world quite like the smell of fresh herbs, particularly fresh basil. Basil has a gorgeous smell that reminds me of walking through a garden, early in the morning– fresh and crisp with a hint of sweetness! Inspired by my love of fresh herbs, I decided to try growing my own basil. I was a bit skeptical since I don’t really garden, but the results were astounding! My basil plant is the inspiration behind this beautifully simple recipe that highlights fresh herbs! This Olive Oil and Fresh Herb Sauce has clean, elegant flavors that go perfectly with anything from crusty bread to steamed veggies to grilled fish! The possibilities are endless! I love the smell of fresh herbs! They’re so fragrant; it just wakes you up. Especially, the smell of fresh basil. If they made basil candles, I would buy them ALL. Seriously, though. If anyone knows where to find a basil candle that smells like the real thing, can you send me one (or 10?) I would be forever grateful. Basil has a beautiful smell that reminds me of walking through a garden, early in the morning. It’s a little sweet, but also savory with hints of mint and a dash of pepper. Since, I clearly have more than just a slight obsession with the smell of basil, I decided that it was time for me to grow my own basil, so I could have access to that gorgeous smell anytime. I decided to start with one of those little windowsill herb planter kits. I put the basil seeds in the little pot. I kept the soil “moist”, but not “soggy”, just like the instructions said. (I wasn’t sure what the exact distinction between “moist” and “soggy” was, but I tried my best!) I kept it on my kitchen windowsill with plenty of sunlight. 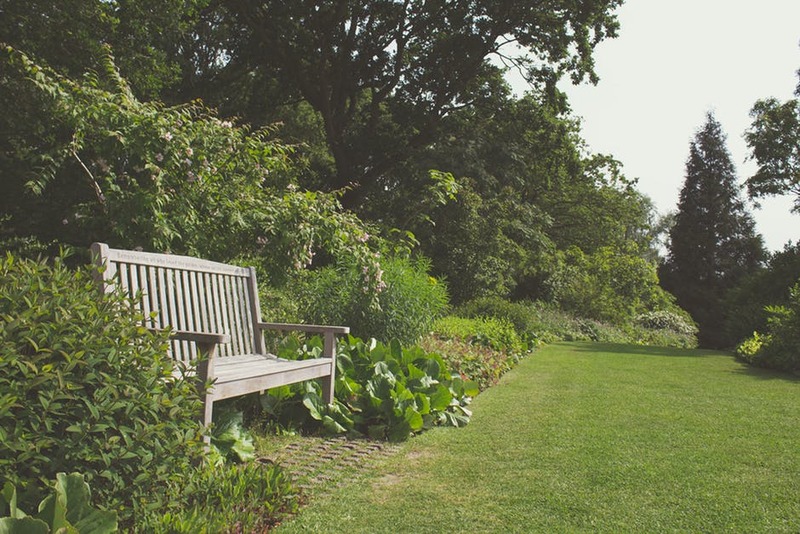 And waited…. and waited some more… and waited a bit longer. Okay, so patience isn’t exactly a virtue of mine. I wanted my amazing- smelling basil NOW! 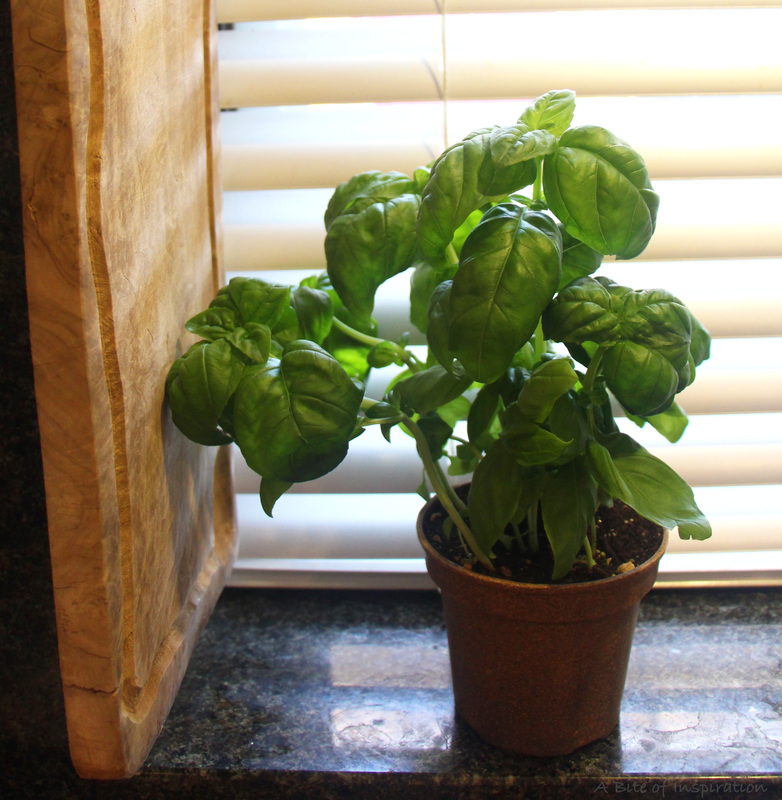 But, a few weeks later, to my delight (and slight surprise), I had a fully grown basil plant on my hands. And, guys—it smelled insanely good. Like, indescribably good. I thought basil that I bought from the store that had probably been sitting there for days smelled good. But, basil fresh off the stem? Sigh. I was in basil-scented heaven. And the best part? Growing basil is practically idiot proof. I have to admit I’m not much of a gardener and I’m not always great with DIY projects, but growing basil was a cinch for me. If I can do it, you can do it. In fact, you should do it! If you’re interested, my friend who’s really into growing herbs recommends the Natures’s Blossom Sow and Grow 5 Herbs kit . It has everything you need to grow 5 herbs, including basil! It’s slightly different from the kit I used—I got mine at my local plant nursery. But, it will yield similar results. Trust me– once you grow your own basil, you will never go back to store-bought. I was so inspired that I even bought a book called Indoor Gardening for Beginners: How to Grow Beautiful Plants, Herbs and Vegetables in Your House . I’m going to try growing oregano next! Inspired by the smell of fresh basil and my new hobby of growing my own herbs, I decided to create a recipe that really highlights fresh herbs (particularly basil) and puts them front and center in their purest, most aromatic form. For me, fresh herbs and olive oil just fit together. They are perfectly complementary. Olive oil is aromatic, slightly sweet, and slightly bitter—just like many fresh herbs, such as basil, oregano, and rosemary are. 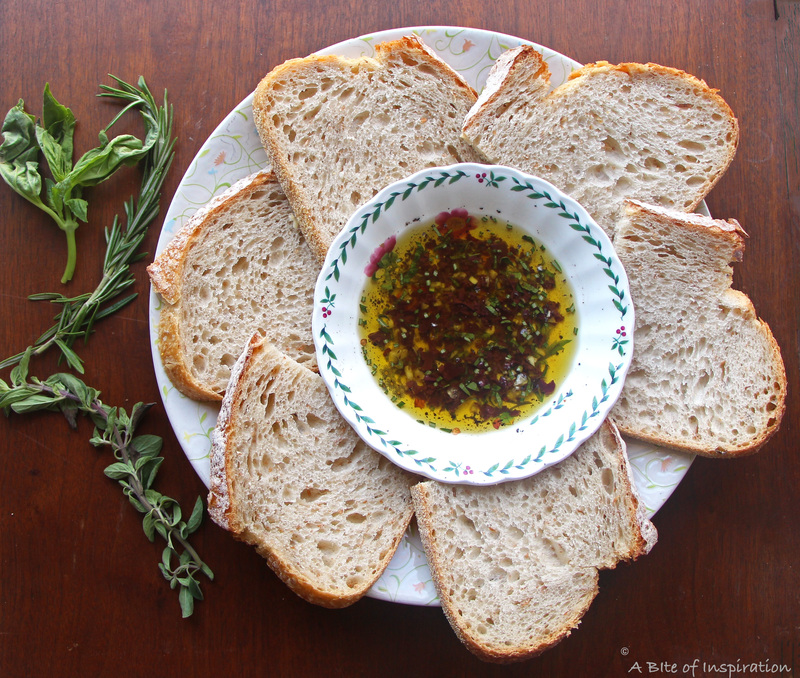 Once you have your olive oil and your herbs, the next natural pairing for me is fresh bread. So, I created, using fresh basil grown by my very own hands (yes—I’m proud of myself), a deliciously fragrant Olive Oil and Fresh Herb Sauce that tastes incredible with a thick slice of bread. This sauce embodies everything I love about herb gardens—it’s clean, natural, and simple, but the flavors are incredible! 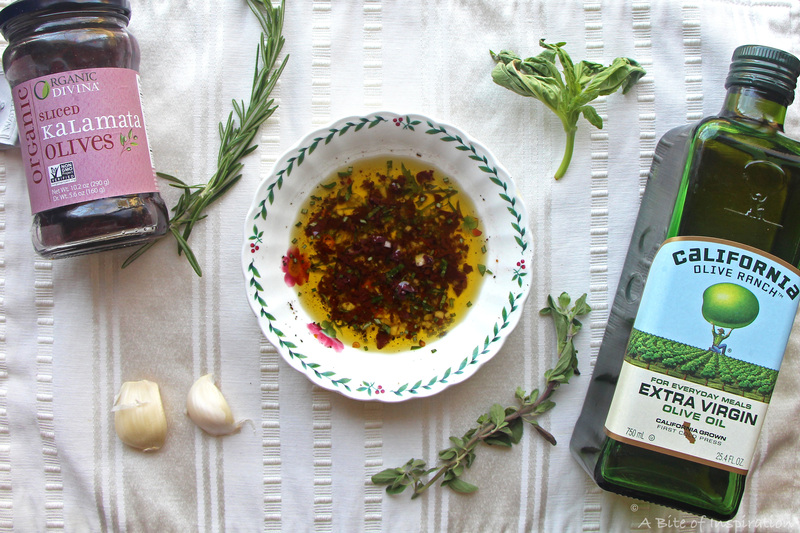 The ingredients are really straightforward: high quality extra virgin olive oil (I recommend California Olive Ranch Everyday Extra Virgin Olive Oil ), fresh garlic, fresh rosemary, fresh oregano, fresh basil, freshly ground black pepper, and optional crushed red pepper for a hint of spice. Oh, and my secret ingredient. Kalamata olives! A tablespoon of Kalamata olives in this recipe really highlights the flavor of the olive oil and brings it to the next level. The brininess of the olive perfectly complements the freshness of the herbs and garlic to create that perfect, magical bite. It’s out of this world. The other great thing about this sauce is that you can use it for a lot more than just bread. 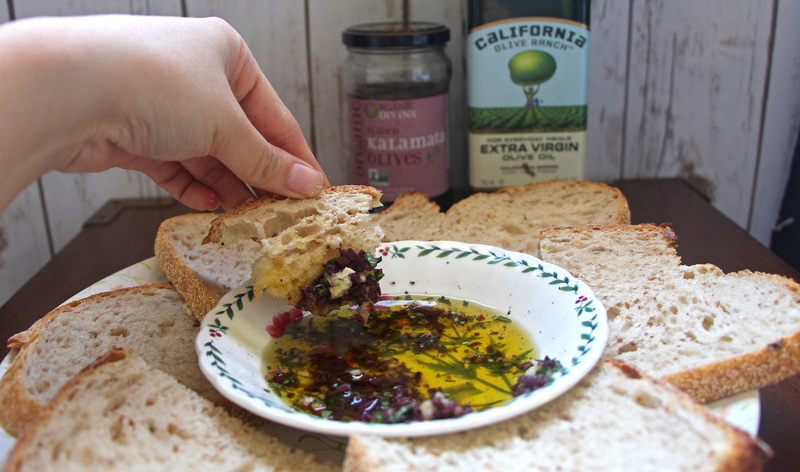 It’s almost like an herby tapenade, except that it’s heavier on the olive oil than the olives. It tastes delicious mixed in with pasta, on top of chicken or fish, or tossed with steamed veggies. The possibilities are endless! It has very clean, elegant flavors that make anything taste fresh and flavorful! Plus, you’ll not only enjoy eating this dish—you’ll also love making it. Cutting into all those fresh, sweet smelling herbs will get your senses going before you’ve even tasted the sauce. Talk about a multi-sensory experience. Pour olive oil into a bowl. Add all the other ingredients and stir well. Serve with bread alongside for dipping, if desired. You can also enjoy this sauce mixed in with pasta, on top of chicken or fish, or tossed with steamed veggies! This dipping sauce doesn’t really need salt because the olives play the role of the salty component. However, if you would prefer it on the saltier side, feel free to add salt. You can also add a teaspoon of parmesan cheese as an additional salty component, if you would like! Thank you so much, Heather! The cool thing about basil is that picking the leaves regularly actually encourages growth! So picking all the leaves off for pesto isn’t so bad after all. You should still use some of your basil to make this sauce though. 😉 Enjoy! OMG this post has made me soooo freakin’ hungry. Why does bread dipped in olive oil have to be so good? I’m so impressed that you grew your own basil; I kill almost everything I try to grow. I saw a basil candle the other day online at Anthropologie, so I have no idea how it actually smells but if it really does smell like basil I’m down for burning a few. Have a great weekend! Thank you so much, Kelsie! I was pretty impressed that I grew my own basil too– I have the same issue of not being able to grow things too successfully. Basil was surprisingly easy though. If I can do it, I’m sure you can too! The gorgeous smell makes it all worth it. Good tip on the candle too! I love Anthropologie and had no idea they make basil candles. I’ll look into it and keep you posted. If it smells like the real thing, you’ll be my new favorite person! 😉 Thanks again for stopping by! Oh, this could become a staple at my house. You are right. I’d use this tossed with pasta with a little pecorino for sure but the one that is just making me drool is drizzled over simple grilled chicken (skin on please). I can just see the flavour of the sauce against some salty, crispy, smoky chicken being unbeatable. Really nice! Thank you so much, Romain! As always, I just love your ideas! 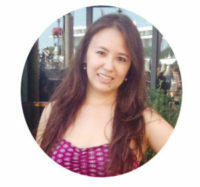 Your descriptions are making ME drool! 😉 Enjoy! I love fresh herbs, especially basil, in fact I actually love growing stuff but I never ever have luck with growing basil (or anything for the matter, even though I love doing it haha) The basil gets all leggy on me and flops over. I think not enough sun – but every year I have a huge pot going in the backyard and when I pinch the flowers off it smells SO good and it’s so funny because Terry can usually smell it all the way the other side of the house! I love this recipe. I have always been served balsamic with oils with my breads but never with olives in it! This is such a AMAZING idea! The element of salt would be so darn tasty!